Advocates for two competing Eugene City Auditor measures on the May 15th ballot squared off at the City Club of Eugene Friday. 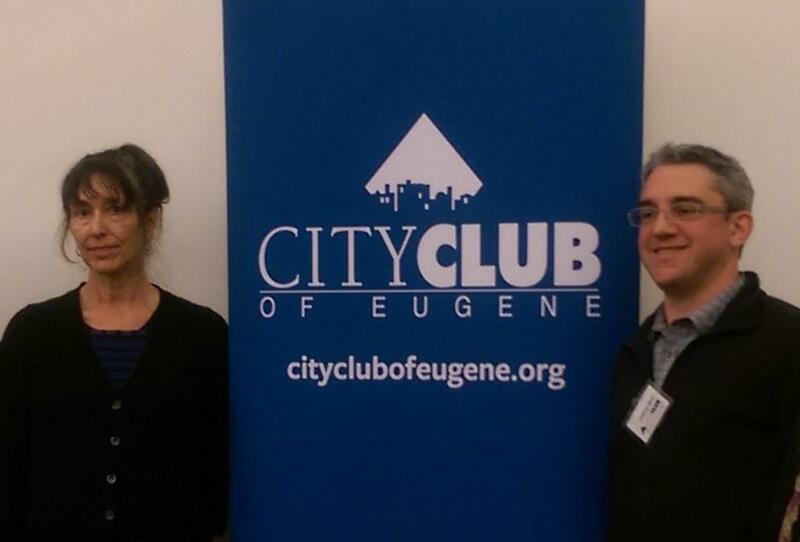 Bonnie Bettman McCornack and Joshua Skov spoke at City Club of Eugene Friday. Measure 20-283 would establish an elected auditor position. Measure 20-287 calls for an appointed auditor. Bonnie Bettman McCornack with “Elected Auditor 4 City Accountability”, says only 20-283 is truly independent. But Joshua Skov with Citizens for Sensible oversight, supporters of 20-287 says an elected auditor would not be independent. Other issues include the cost of the two positions, how they’d be paid for, and accountability. The City Club of Eugene forum will air Monday evening at 6:30 on KLCC. The Eugene City Council voted 5 to 2 Monday to refer a city auditor proposal to the May 15th ballot. Now, voters will have two competing measures to choose from.